(Reuters) - AT&T has asked regulators to let it ignore a shareholder request for details of its customer-information sharing with government agencies, a move that could forestall a heated debate at the telecommunications giant's annual meeting. The No. 2 U.S. mobile operator made the request in a December 5 letter to the U.S. Securities and Exchange Commission in response to shareholder activists pressing it on the matter. Among them is New York State Comptroller Thomas DiNapoli, who is the trustee of the state retirement fund. DiNapoli and other shareholders of AT&T and its biggest rival Verizon Communications Inc last month sought details on sharing of personal data and communications from the two companies following revelations from former U.S. National Security Agency contractor Edward Snowden. The shareholders cited media reports of intelligence agencies' involvement with the companies and criticism from foreign leaders and others. The activists said the companies could lose credibility with customers and asked them to schedule a vote on a measure calling for the publication of semi-annual reports with details such as how often customer information was shared with U.S. or foreign government agencies, and what type of information was shared. In its letter, AT&T outlined arguments about why the agency should grant its request to exclude the activists' measure from the agenda of its 2014 annual meeting. AT&T said the matter relates to "ordinary business operations" and should not be controlled by shareholders, according to the letter obtained by Reuters. The more significant public debate is about government surveillance practices, AT&T said, and noted it and other carriers are obliged to comply with court orders. 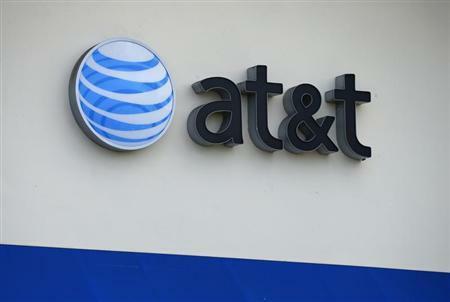 AT&T also said it faces at least one lawsuit that contends it violated customer privacy rights by providing information to government agencies. It said any information it were to provide in response to the shareholder measure could interfere with its legal strategy. Jonas Kron, Senior Vice President for Trillium Asset Management, a co-filer of the AT&T resolution, said his firm had hoped for a different response from the telecommunications giant. "We're disappointed that the company is demonstrating an unwillingness to have a public discussion with its shareholders about a matter of such importance," Kron said in a telephone interview on Friday. A Verizon spokesman declined to comment on Friday. Verizon had previously said it was evaluating the proposal.